What Does “Board Certified Plastic Surgeon” Mean? How Do I Find the Best Plastic Surgeon for a Face/Neck Lift? “How to find the best surgeon for a Neck Lift or a Facelift?” is a question that perhaps you should change to “how to find the best surgeon for you?”. It is easy to say, “just come to me!” but not all patients are suited to every surgeon. The first step is to look for Plastic Surgeons who are certified by the American Board of Plastic Surgery. While there are many surgeons who call themselves plastic surgeons and even who may be very good, they may not be certified by the ABPS. An easy way to tell if they are, is to look for surgeons listed on the American Society for Aesthetic Plastic Surgery website, www.surgery.org. That way you know you are at least getting the highest trained surgeons available. Do not look to far afield. I always recommend finding one in your local area as travelling past great surgeons to find the “best” can backfire if you have a complication at home after your surgery. Do not look to far afield. I always recommend finding one in your local area as travelling past great surgeons to find the “best” can backfire if Faceyou have a complication at home after your surgery. Once you identify some surgeons in your area, you should look carefully at their website. Study their before and after photos and the information about a facelift and neck lift carefully and even their YouTube channel if they have one. That way, you can get to know the surgeon before you even meet them. You should also look at reviews and then go for a consultation. You do not necessarily have to go to multiple surgeons but just find one you are comfortable with. When is the Right Time or Right Age to Get a Face/Neck Lift? This is an age-old question and the simple answer is that the best age is when you are ready, and you would benefit from a facelift. Everyone ages differently according to factors like their health, sun/smoking exposure and genetics. The first thing a surgeon must consider is the risk/benefit ratio. In other words, we must decide if a face lift will make enough of a difference to outweigh the potential risks from a facelift or a neck lift. The first step towards answering this question to ask yourself if you are ready to find out more about the possibilities or potential solutions that are available for your facial aging concerns. If you are ready to see someone to get your plastic surgery concerns answered, it is you surgeon’s job to determine if you are a candidate and make the determination about if you are a candidate. If you are a good candidate and you are ready; then is the best time for a facelift. Will I Need an Eye Lift at the Time of My FaceLift or Neck Lift? The answer to this question depends upon your need. If you truly need an eyelid lift you can have it done separately (before or after your lift surgery) or you can have it done at the same time. An eyelid lift and a facelift or a neck lift are frequently done together in a facial rejuvenation procedure. Can a facelift or mini lower facelift be done with local or twilight anesthetic? A facelift, a mini neck lift or lower facelift can all be done under either local or twilight anesthesia (also known as conscious sedation or monitored sedation). In fact, this is a preferable way to do these procedures. Conscious sedation or straight local anesthesia has been shown to reduce complications like post operative bleeding, infections and DVT’s. It helps to speed recovery as well. This is because after the surgery you have almost no pain. As a result, no narcotics are needed at all. In fact, I have not had to prescribe an opiate for a facelift patient for 4 years. For facelifts or neck lifts, all that is required for post op pain control in facelift or necklift patients who have had local only or local plus sedation anesthesia is an anti-inflammatory like Aleve (naproxen) or Aspirin. Here is a video of a patient who had a face lift with conscious sedation. 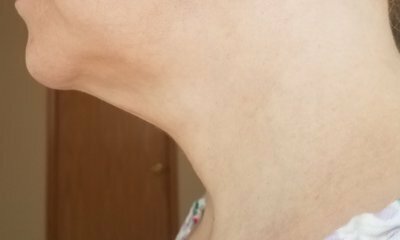 Would I be a good candidate for a direct/localized skin removal of excess neck skin and/or a mini neck-lift? Your photo is very helpful. They show that you would benefit from neck rejuvenation. Direct excision is not a great solution as the scar form that procedure is problematic for many reasons, not the least of which is that it is very unsightly. A very simple approach would be a lower MACS lift that deals with the neck. The beauty of a MACS lift is that is scars can hardly be seen and it gives a very natural look that will last for years. It can also be done in the office setting under local anesthesia, which some patients prefer. I have added a video of a patient who had this done that may be of help to you as well. I’m wondering about a lower MACS lift. Is it safe and effective? A MACS lift utilizes has a shorter scar and then suspends your tissue to your facial bones to give long lasting and natural facelift and or neck lift results. A MACS has been shown to last at least 8 years before it shows its wear and avoids a lot od the complications that accompany the larger lift procedures without sacrificing results. It also produces a very natural looking face/neck lift that my patients are thrilled with even after years. It will not affect your cheek bones or malar area and should not alter your ear shape at all. It can even be done under local anesthesia if you prefer. I use a 24 hour rapid recovery technique as well so that you can get on with your life quite quickly. Make sure you ADD YOUR NUMBER if you would like us to call.